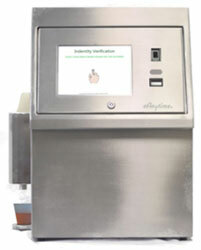 eAnytime® researched and created our acclaimed Medical Facility Patient Care & Pharmacy liquid & solid medication dispensing system including Methadone, and Suboxone for the Treatment of Opioid Dependence and unequaled Patient Direction & EMR Initiation, Dispensing & Patient Self-Payment kiosks which feature barcode scanning for patient & staff identification and finger scanning for identity verification. eAnytime® Medication Dispensing Systems & Kiosks comply with regulatory requirements worldwide, dispense medications full-strength or with an equal, proportional or variable amount of additive, and are credited with dispensing millions of doses of medication with 100% audited accuracy. eAnytime® recognized the need for providing 24/7 patient pharmacy services and working with State Pharmacy Control Boards created a 24/7 patient self-service pharmacy prescription DropOff™ & PickUp™ and self-payment kiosks at which patients can communicate with a pharmacist via interactive communication. 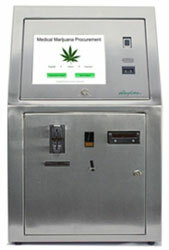 Recognizing the need for effective control of the sale of Medical Marijuana and to position for sale of recreational Marijuana, eAnytime® created a Point-Of-Sale & Dispensing System and patient self-service kiosk, at which patients can register, are assigned a Personal Identification Number, scan fingers for identification, select Marijuana, quantity, make payment and have their prescription filled. eAnytime® originated 24/7 self-service Dry Cleaning & Laundry customer DropOff™ & PickUp™ Kiosks and constructs Signature Dry Cleaning & Laundering Kiosks with DropOff™ & Fixed Position PickUp™, DropOff™ & Revolving Conveyor PickUp™, Locker DropOff™ & PickUp™ Kiosks and indoor & outdoor and in-wall DropOff™ only kiosks. 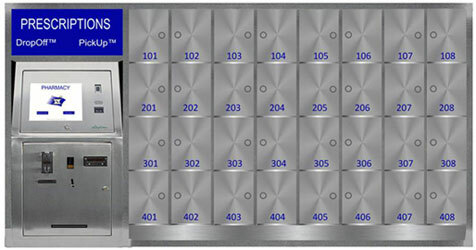 Wash & Fold Drawer DropOff™ & PickUp™ Kiosks and Wash & Fold Drawer DropOff™ & PickUp™ and DropOff™ & Drawer PickUp™ kiosks. 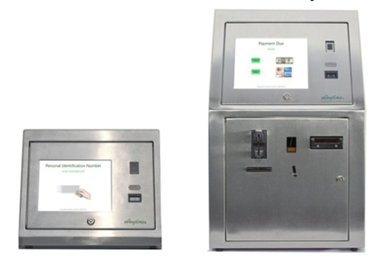 eAnytime® is recognized as a leading provider of computer application software and our made-to-order 24/7 self-service kiosks are delivered ready to provide service.